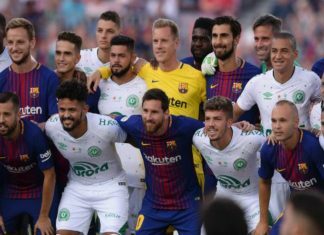 FC Barcelona didn't miss Brazilian striker Neymar Jr as they enjoyed a comfortable win at home to Brazilian side Chapecoense in the club's traditional Joan Gamper Trophy. 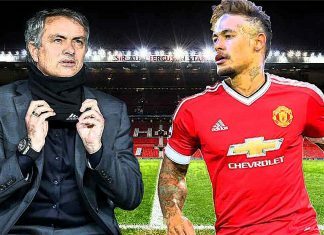 Neymar Jr. is all set to join Paris Saint Germain on a world record £199million transfer move - that will make him the world's most expensive footballer. 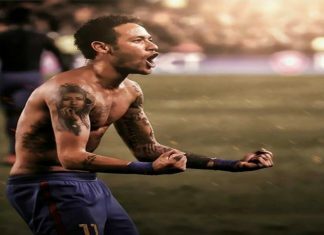 The Barcelona star Neymar Jr. added a new tattoo of his youngest son Davi Lucca in his collection as a tribute to the little one. Neymar has reportedly been involved in a training ground bust-up with Barcelona coach Juan Carlos Unzue leaving the star furious. 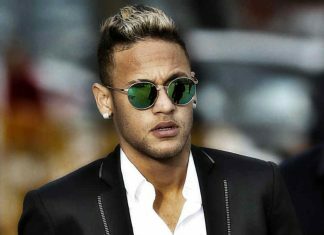 Barcelona superstar Neymar has been ordered to stand trial by the Spanish court for fraud regarding his transfer from Santos to the Nou Camp. 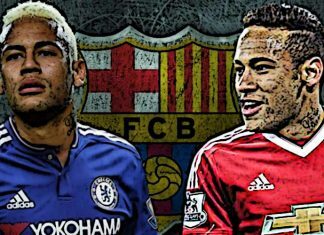 Neymar has told friends Manchester United are prepared to splash £180 million to break his Barcelona release clause. Josep Bartomeu will go on trial for fraud and corruption over Barcelona's signing of Neymar from Santos after his latest appeal was rejected. 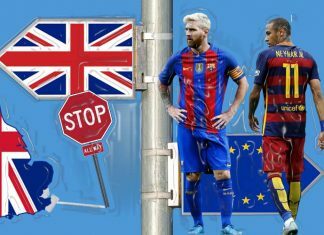 Barcelona stars Lionel Messi and Neymar may be refused entry into the UK if they get through to the Champions League final. 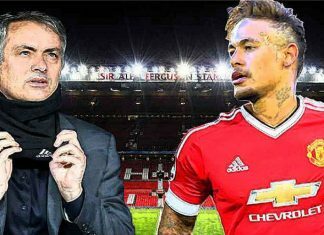 Jose Mourinho wants to bring Neymar to Manchester United and has made personal calls to the player to convince him to leave Spain. 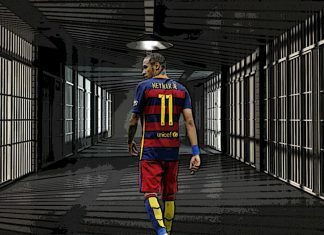 Neymar has enjoyed huge success at Barcelona since joining the club in 2013, the 24-year old has won almost every trophy possible in club football. 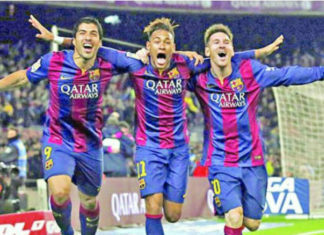 FC Barcelona's president Josep Maria Bartomeu believes that the clubs deadly attacking trio will not be leaving this summer. La Liga's top eleven players of the 2015-16 season. Best WAG's from one of the best Leagues in the world. Rather than picking the players themselves, Marca left the ordering up to reader's votes. "A lot of time has gone by since then and I've witnessed his enormous growth, both as a footballer and as a person," Messi told FIFA.com. The build-up so far has focused on security concerns more than sporting questions in the wake of the Paris attacks. South American campaign for Argentina and Brazil started on a surprising low with both teams losing in their first round of FIFA World Cup qualifiers. 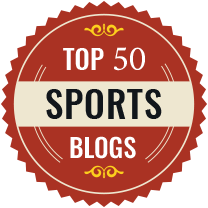 The Chileans have been on a roll for quite long time, making the knockout stages of the World Cup, then winning Copa América. Chelsea suffered a 2-1 defeat against Porto while Arsenal lost 3-2 at home to Olympiakos. Messi was quickly taken to the nearby Creu Blanca hospital for tests on the injured joint. Lionel Messi and Barcelona maintained their winning start to the season, while Manchester United new signing Anthony Martial kept up his impressive start. "I choose Messi over Ronaldo for the best player award," Willian was quoted as saying by goal.com. Messi, the four-time FIFA world player of the year, got the UEFA honor after a season-long duel with Ronaldo for the Champions League scoring record. A disappointing result in the opener would have raised more questions about Barcelona after an unusually difficult start to the season. Athletic Club Bilbao have the chance to lift their first trophy in 31 years when they take a 4-0 first-leg lead to Camp Nou Stadium on Monday. Brazil coach Dunga has revealed a virus was taking its toll on the Brazil squad ahead of their Copa America quarter-final with Paraguay. Derlis Gonzalez fired Paraguay into a Copa America semi-final showdown against Argentina, converting the crucial spot-kick to defeat Brazil 4-3 on penalties. Brazil coach Dunga has apologized for stirring up a racism controversy at the Copa America. Thiago Silva helped Brazil to book their place in the quarter-finals of Copa America 2015 as Group C winners with a 2-1 victory over Venezuela. Brazil forward Neymar will miss the rest of the Copa America after receiving a four-match ban by South American football's governing body Conmebol. Neymar could now miss even more of the Copa America action, should the tribunal opt to increase his suspension after reviewing his actions during their meeting. Coach Noel Sanvicente has told his Venezuela side not to expect Peru to show them them as much respect as they showed Brazil. Barcelona star Neymar drove the ball into Colombian defender Pablo Armero after the final whistle was blown and then aimed a headbutt at Jeison Murillo. Brazil coach Dunga has admitted that his team need to learn to play without Neymar following the star forward's dismissal in the 0-1 defeat to Colombia. Media sources confirmed that the highly rated Brazilian prodigy Rodrigo Caio, who plays for Sao Paulo has been sold to the Spanish club Valencia. Neymar will be carrying Brazil's hopes in this month's Copa America in Chile, just as he did before a back injury put an end to his World Cup last year. A first-half strike from Roberto Firmino earned Brazil a 1-0 victory over Honduras in an international football friendly. The Barcelona attacking-man once again pulled off a stupendous trick when he struck the ball into the net, from 6 yards behind the post.